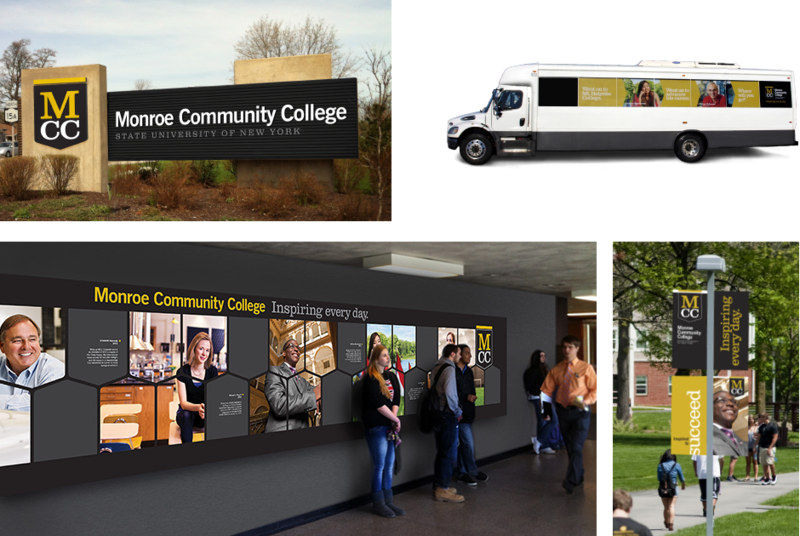 MCC – a large community college in Rochester, NY – wanted to refresh their brand. While awareness of MCC was high, perceptions of the school, especially in regard to academic quality, were not accurate. With the stigma of being the “13th grade” and a place for those students with little direction or drive, community college as a category can be a tough sell. But MCC is impressive. They have impressive programs and even more impressive graduates. The challenge was simply finding a way to tell people just that. Through qualitative research, we quickly uncovered that the best people to tell MCC’s story are the people who lived it – alumni. During our interviews with MCC grads, we heard story after story of the success they have found – from going on to Ivy League schools to landing a job at NASA. We knew these inspiring stories that spanned the globe needed to be told in our radio and TV campaign. 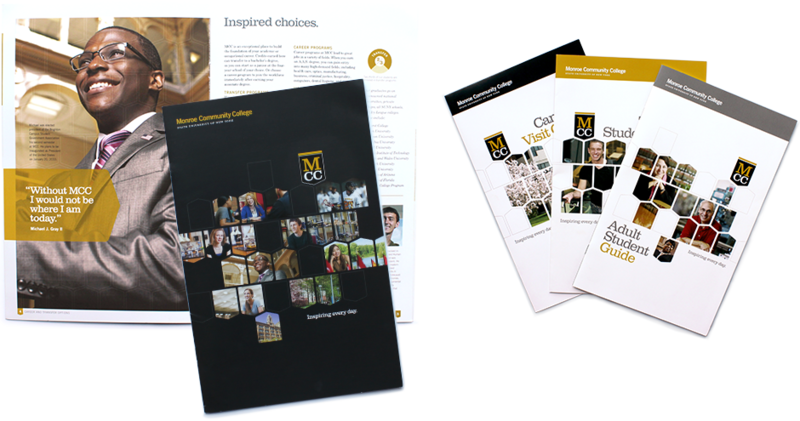 These impressive outcomes led to the development of the school’s new tagline too, “Inspiring every day.” We also had the privilege of creating a new logo, campus signage, and many admissions materials to entice the next crop of inspiring outcomes. The response from all internal audiences – from students to faculty – was overwhelmingly positive. And we’ve been told there’s a renewed (and inspiring!) energy on campus around the rebranding. Best of all, following the launch of the campaign, applications were up whopping 17%.